"A Deadly Blow:" Why is Iran Persecuting and Killing Sufi Mystics? Washington, D.C. (RFE/RL) – Thirty-three-year-old Mostafa Abdi, a member of Iran’s largest Sufi order and editor of a news outlet focused on the Gonabadi dervish community, appears set to spend the most productive years of his life in an Iranian prison. Abdi was reportedly sentenced earlier this month to more than 26 years, and 148 lashes, following a conviction on security charges that include acting against Iran’s national security, spreading propaganda against the Iranian establishment, and disrupting public order. Sufi journalist Mostafa Abdi has reportedly been sentenced to 26 years in prison as well as nearly 150 lashes. (RFE/RL file photo). Abdi, who previously spent three years in jail on similar charges, must also spend two years in internal exile in one of Iran’s most remote provinces. He can neither travel outside the country nor participate in any media or political activities for two years after his prison sentence is served. His is one in a recent slew of sentences stemming from an ongoing crackdown against dervishes and detentions that followed clashes between members of that sect and security forces in the capital in February. Three security troops died when they were run down by a bus and two Basij militia members during those skirmishes, which began with protests sparked by rumors — dismissed by authorities — that police planned to arrest the sect’s 90-year-old leader. Some 300 dervishes were said to have been arrested following that unrest. Eight of Abdi’s colleagues at the Majzooban news outlet are said to have been ordered to serve prison terms ranging from five to 12 years in addition to lashes and two-year bans on journalistic activities. The dervishes have long complained of persecution and an official gag on reporting on their plight among Iran’s heavily censored state news outlets. Many conservatives in Iran describe them as heretics and a danger to Islam. The fates of many of the other dervishes arrested after the February violence remain unclear, although one man, Mohammad Reza Salas, was hanged after being convicted in a widely criticized trial of killing the police officers, and another reportedly died after being taken into official custody. 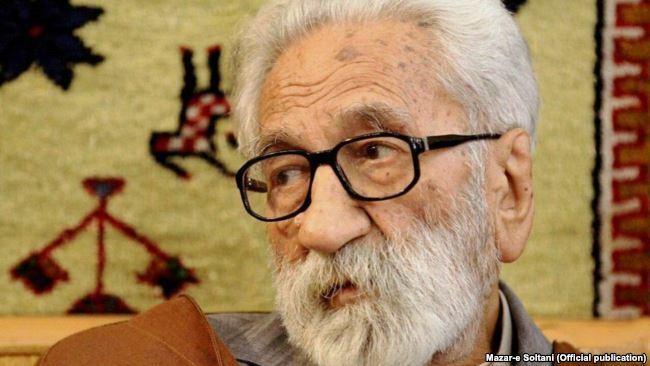 Amnesty International said security forces in February resorted to beatings, water cannons, tear gas, and guns to disperse a crowd of dervishes gathered outside the home of their nonagenarian leader, Paris-educated lawyer Nurali Tabandeh, to thwart a rumored detention. 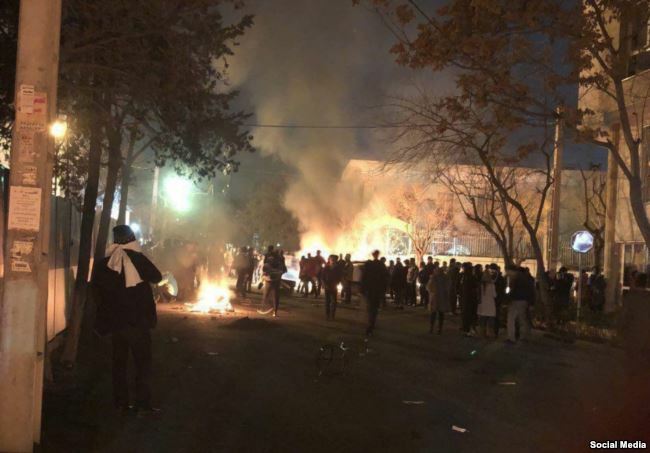 Authorities have described dervishes as “rioters” and “seditionists” in connection with the confrontations and accused them of attacking security forces with sticks and rocks. Hard-line clerics have called for the stiffest of punishments, with some equating them with the militant group Islamic State (IS). Dozens of those detained have been sentenced to prison terms in recent weeks, according to Sufi sources that quoted the families of detainees. 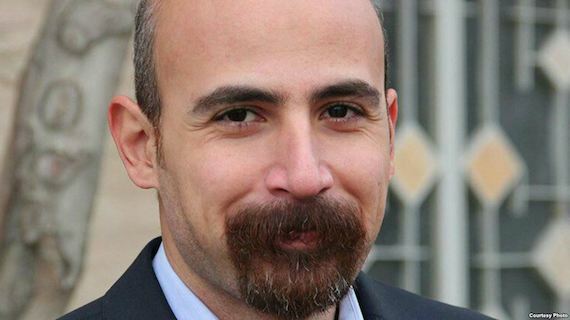 “The severe prison sentences issued for the dervishes are an ultimatum to others not to speak up,” Turkey-based Majzooban editor Alireza Roshan, who describes the prisoners as “hostages” of the clerical establishment, said. Roshan said another Majzooban editor and reporter, Kasra Nuri, was sentenced to 12 years in prison along with several members of his family. Nuri’s two brothers, a photographer and a law student, received two- and six-year prison sentences, and his mother, a kindergarten teacher, was sentenced to five years in prison, Roshan said. Mohammad Sharifi Moghadam, a Majzooban reporter and rights activist, was sentenced to 12 years in prison, according to a family member. Three other members of the website, Sina Entesari, his brother Reza Entesari, and editor Salaheddin Moradi, were each sentenced to seven years in prison. The spiritual leader of the Gonabadi Dervishes Nurali Tabandeh (file photo). At least three women who contributed to Majzooban have been sentenced to five years in prison. Roshan said the establishment has dealt a serious blow to the Gonabadi order. He said his son was not planning to appeal his sentence. 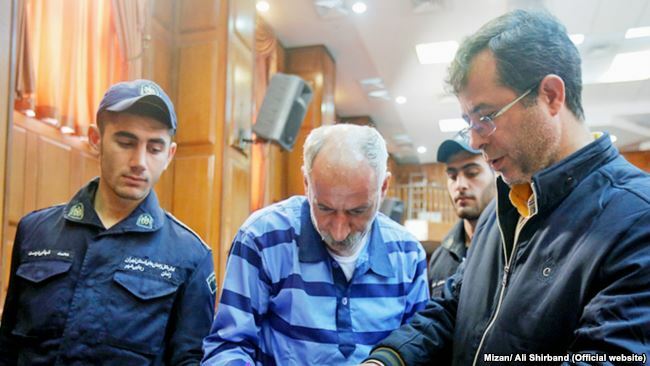 Featured Photo: Mohammad Reza Salas (center) at his trial in March.